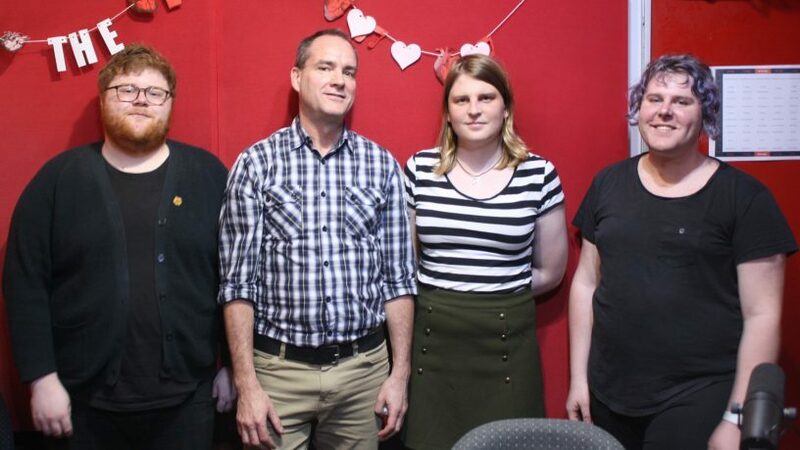 Pride WA have shared some exciting new information with the team at All Things Queer on RTRFM 92.1 this week. Speaking with hosts Hen, Robin and Tom, Pride WA President Andrew Barker shared that the parade route will be following an all new path this year – for the first time in approximately two decades. “I’ve just come from a meeting with The Court Hotel and you might think, well what’s the relevance there?” Barker hinted. When asked what prompted the change, Barker said the organisation was eager to align with other Pride celebrations around the world. Barker said while Pride WA had seen great success with their after parties in the Urban Orchard – this year will see an all new location, but that’s still a secret! Barker also joked of the blur his three terms as President of Pride WA have been, but sincerely thanked his fellow board members, with special mentions for former members Graham Lovelock and Michelle Rogers. The President also announced that the beloved Fair Day will be making it’s return on an all new date. Pride WA have made the changes to have Fair Day kick off the month long festival, and wrap up celebrations with the Parade and after party. Barker said the funds have been allocated to LGBTI+ groups in Albany, Esperance, Broome and Spectrum SouthWest, which encompasses Bunbury and Busselton. PrideWA will however be receiving less funding from the City of Perth this year, with this year’s contribution lessened to $50,000 from the $55,000 given last year. A spokesperson for PrideWA told Guardian Express they were disappointed but that it was unlikely to affect the festival. “Pride WA understand the economic climate that all of our corporate and government partners are operating in and would attribute that to the small reduction in funding,” the spokeswoman said. PrideFEST will kick off on Fair Day, Sunday October 29th and run until the fabulous Parade on Saturday November 25th.